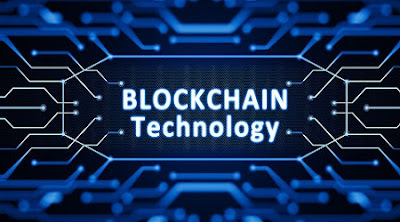 Blockchain Technology is a global online database that anyone, anywhere, with an internet connection, can use. Unlike traditional databases, which are owned by central figures like banks and governments, a Blockchain doesn’t belong to anyone. And with an entire network looking after it, cheating the system by faking documents, transactions and other information becomes near impossible. Here’s how it works. Blockchains store information permanently across a network of personal computers. This not only decentralizes the information, but distributes it too. So how can a multi-purpose online database, whose users include criminals, work for everyday use? How does it stay relatively hack-proof? The answer is Blockchain’s millions of users. They make it difficult for any one person to take down the network or corrupt it. The many people who run the system use their own personal computers to hold bundles of records submitted by others. The records are known as blocks. Each block has a time-stamp and a link to a previous block, forming a chronological chain. It’s like a giant Google doc with one key difference. You can view it and add to it, but you can’t change the information that’s already there. 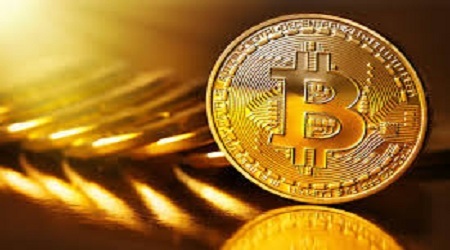 The Blockchain enforces this by using a form of math called cryptography, which means records can’t be counterfeited or altered by someone else. Blockchain’s most famous application is Bitcoin. It’s a digital currency that is created and held electronically, and you can send it to anyone, whether you know them or not. Bitcoin provides a level of anonymity we’ve not seen in modern times. That’s because unlike credit cards or PayPal payments, there are no middlemen such as banks and financial institutions asking for your personal information and home address. Instead, people from all over the world move the digital money by validating other people’s Bitcoin transactions, earning a small fee in the process. Where the Blockchain comes in is verifying the ownership of this digital cash and making sure only one person is claiming it as their own at a time. But it’s not all good news for the big players, of course. Blockchain lowers the barrier for entry into the banking industry, and that means fine tech start-ups are popping up in pretty much every market they operate in. If banks and companies can’t keep up, they’re putting their own survival at risk. For the consumer, the future seems brighter with more security, less cost and better experiences. Yet, Blockchain could be the biggest game changer for the poorest in society. The technology is open to people living in low income countries or fragile states at risk of economic collapse. If the farmer had filed that deed on a Blockchain, he could have avoided all these problems. Along with speeding up the flow of cash and providing a secure place to keep records, the benefits for the poorest in society are enormous. From protecting our identities, to running autonomous vehicles, to managing a world that is increasingly dependent on the internet of things, the possibilities for Blockchain technology seem endless. But whether it lives up to its promise remains to be seen.